Register to our communications today. It’s quick and easy for you to stay connected and take advantage of these great benefits. 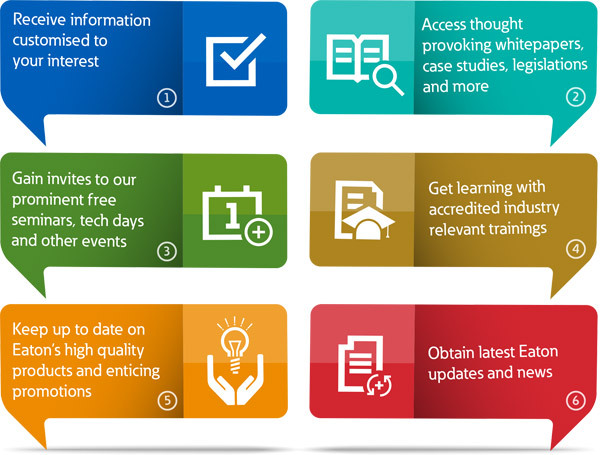 Create yourself an Eaton profile to maintain access to the great content we can offer to support your experience with us. You will receive a confirmation email from us shortly after your submission. Please click on the link in the confirmation email to complete your registration so we can keep you updated with the latest Eaton products and news.